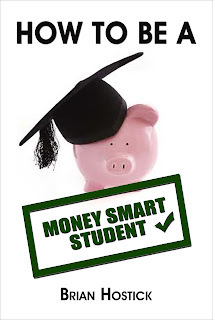 I am thrilled to announce the publication of my first book 'How To Be A Money Smart Student'. Leaving home for the first time and moving out on your own to go to school is a tough time. There is so much to think about.Make a couple of wrong moves and you could end up costing yourself a lot of money. 'How To Be A Money Smart Student' gives today's teens some guidance in the important areas of life as they live away from home, and handle their own money - many for the first time in their lives. Students will get tips in such areas as Housing, Campus Life, Transportation, Groceries and more. Help your student - or yourself - to survive and thrive, and not sweat the money.